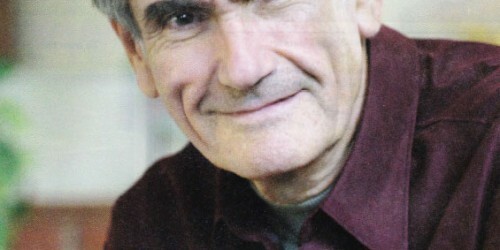 Marshall Rosenberg has devoted his life to helping some of the world’s most bitter enemies, including Israelis and Palestinians, drop their weapons and start talking. 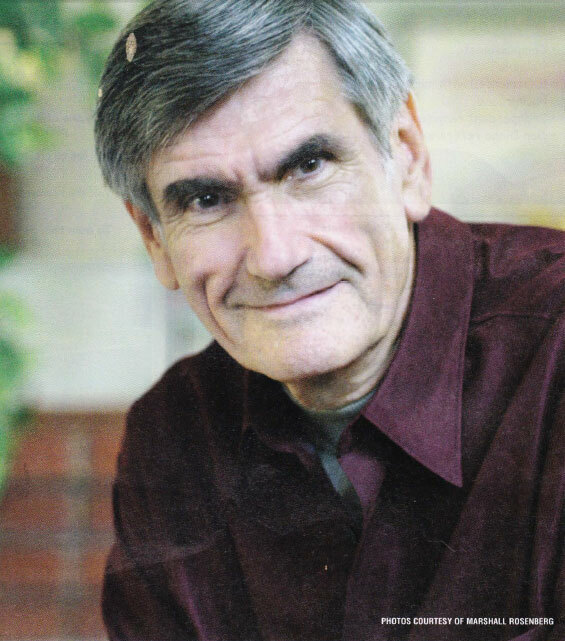 Marshall Rosenberg is a saint among men. The founder and educational director of the Center for Nonviolent Communication (CNVC) has spent the past forty years of his life doing work in the realm of Gandhi and Mother Theresa. His ambition is lofty, to say the least- he believes that by teaching proper communication skills, he can end the need for violence in the human race. It is a late evening in mid-September when Rosenberg reaches me by pho ne from a suburban Atlanta hotel. He explains that he is conducting an intensive 10-day training course for Nonvio le nt Communication (NYC). In a voice that possesses the eloquence of Ronald Reagan and the bravado grittiness of John Wayne, he recalls a defining moment of his childhood: the Detroit race riots of 1943. The riots ki lled 35 blacks and 9 whites. For more than six months, 6,000 army troops patrolled Detro it’s streets . The Rosenbergs, who lived in a blue-collar part of town, were fo rced into virtual lockdown. Rosenberg, 70, believes those days had a major impact on his view of human in teraction. The re was another catalyst that occurred early in his chi ldhood, as wellroll call , on his first clay of public school. SPEAK PEACE: Rosenberg in Africa. Rosenberg has taught his method of nonviolent communication to Hamas leaders, Tutsis and Hutus in Rwanda, and Irish Catholics and Protestants. Rosenberg never forgot how he felt that day. The flip side to the racism and antiSemitism he experienced, however, was the empathetic nature of his Jewish family. He recalls his grandmother as “very poor but richly compassionate.” According to Rosenberg, she took in a homeless person named Jesus into he r house for seven years. When she succumbed to Lou Gehrig’s disease, his uncle and mother devoted themselves to caring for her. As a little boy, Rosenberg saw the contrast between the gentleness of his fa mily and the roughness of those on the Detroit streets. He began to contemplate it. Rosenberg, who is the 2004 recipient of the Man of Peace award (given by the World Peace Prayer Society), received a Ph.D. in Clinical Psycho logy from the University of Wisconsin in 1961. He developed a lucrative psychology practice but was disappointed with the results. He was spending most of his time dealing with the dai ly troubles of afflu ent patients. There was no change, no revolution, occurring. He gave up his practice and spent the next few years living in his car, often traveling in the Deep South . It was the 1960′s and the civil rights maelst rom was in full swing. His first testing grounds for NYC were with the Black Panthers and other civil rights groups. Forty years later, NYC, and Rosenberg, are surprisingly successful. 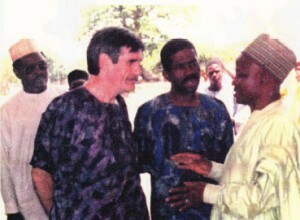 Through Rosenberg’s tactics, bitter rivals including Israelis and Palestinians, Catholics and Protestants in Northern Ireland and Tutsis and Hutus in Rwanda have sat down and peacefully resolved their conflicts. Rosenberg sums up the need for NVC: 10,000 years of failed human interaction has led to disconnect from each other’s basic needs. Communication breakdown results in anger and fear among peoples, and from these emotions have come the horrors of racism, genocide, terrorism, and ethnic conflict. Along with more than 225 instructors from 50 d ifferent countries, Rosenberg has taught the language of NVC in the Middle East, Sierra Leone, Croatia, Rwanda and other bubbling ethnic cauldrons of conflict. More than 225,000 people around the globe have heard his message. And while a quarter of a million people does not equal a paradigm shift, NVC is well on its way to creating a major swing in consciousness. Incredibly, Rosenberg has even met with top leaders of Hamas, whom he referred to as “nice guys,” and also with the leader of the Israeli settler moveme nt, Gush Emunim. When broken down, Rosenberg says, the extremists on both sides are humans with the same basic needs: safety, fairness and respect. 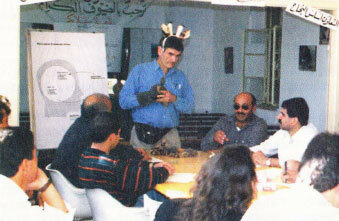 Rosenberg has even received recognition for his work from the Israeli governmentsort of. “[Vice Premier) Shimon Peres likes my book (Nonviolent Communication: A Language of Life is one of several books authored by Rosenberg. It has been published in 23 languages). He's been trying to get Sharon for a couple of years to use me as a mediator, but Sharon hasn't been open to it." In addition to altering the violent mindset in war-ravaged locales like the Middle East, Rosenberg has also clone amazing work in prisons. Hearing how he cracked a child molester's motives for sexually molesting kids is chilling. Equally so is his experience in Sierra Leone training a woman who would eventually form an 11 ,000 widowed-female agricultural collective. AROUND THE TABLE: San Diegans who want to learn Rosenberg's methods can enroll in an intensive 3-day October seminar, at the Carlsbad Senior Center. Rosenberg admits that it’s not easy to change one’s mindset and even he succumbs to human mental frailty. The bright side, according to Rosenberg, is that in as little as three hours, through a NVC course, people are amazed how little it takes to drastically change their lives. Judd Handler is freelance writer based in Encinitas.